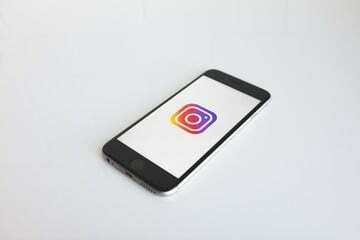 Many of us need to carry our laptops and tablets with us to get work done anywhere. That’s why having the right bag is incredibly important. 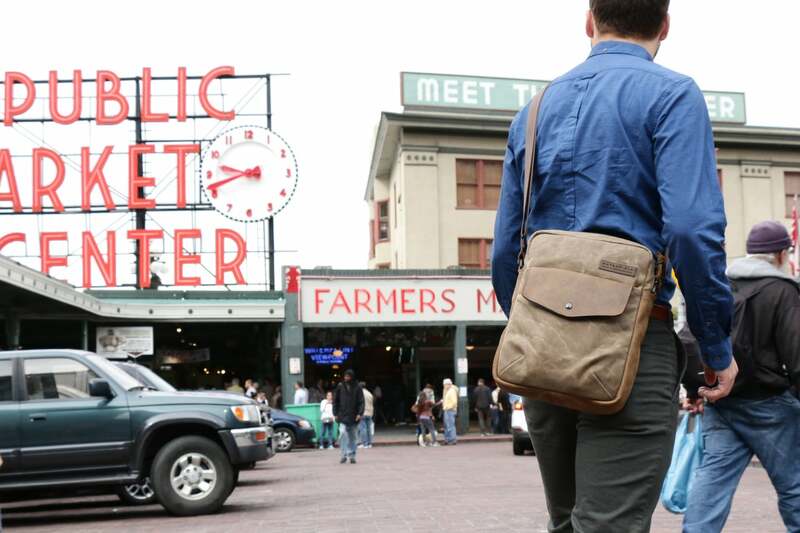 While there’s many options out there to consider, you can’t go wrong with any bag from Waterfield Designs in San Francisco. I reviewed their Field Muzetto bag early on in 2017, which I personally loved. I was sent the large Bolt Crossbody Laptop Bag (big enough to fit a 15″ laptop) and have been testing it for the past several months. 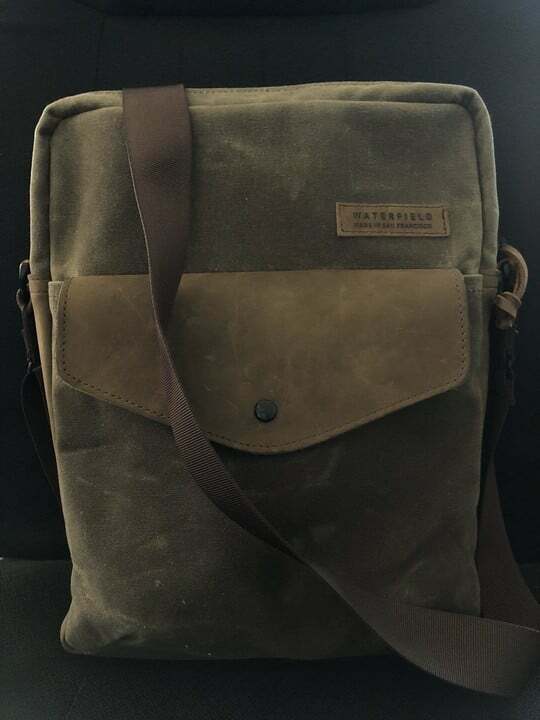 Once again, Waterfield Designs has made another quality bag. The Bolt Crossbody is similar to the Field Muzetto, in that it’s another vertical-style bag. This means that it’s slightly longer than it is wide, but not as much as the Field Muzetto. I prefer vertical bags, honestly, as they have a slimmer feel to them. Like their other products, the Bolt Crossbody is made from a durable waxed canvas material, and is accented with full-grain leather. Even though there are a few color combinations on their website (waxed canvas or black ballistic with chocolate, grizzly, and black accents), I opted for the classic Waxed Canvas and Grizzly Leather trim, as it reminds me of the Field Muzetto that I love. 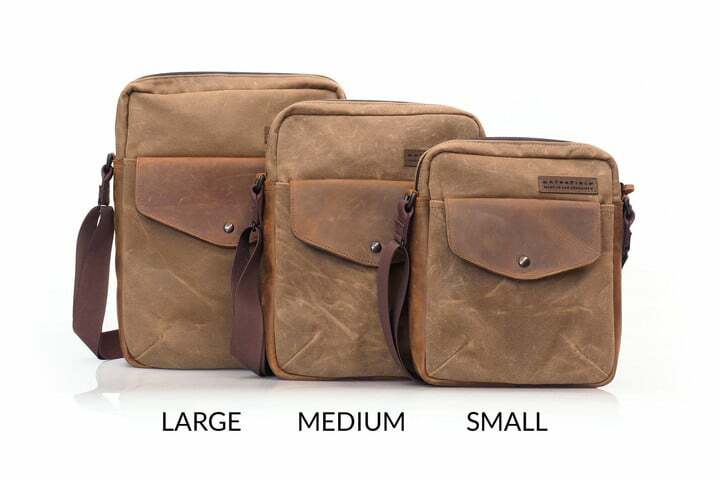 But no matter what color combo you go with, Waterfield makes it look amazingly rugged yet classy. The thing about the Field Muzetto that I didn’t like too much was the fact that it had no magnetic closure or zippers for the main compartment and outside pocket. Fortunately, the Bolt Crossbody is an improvement. The main compartment is secured by a sturdy YKK zipper, along with the pocket on the backside. The front pocket features a magnetic flap that makes sure nothing falls out. On the inside, the Bolt Crossbody’s lined with a reflective golden material that makes it easy to see the contents of your bag. 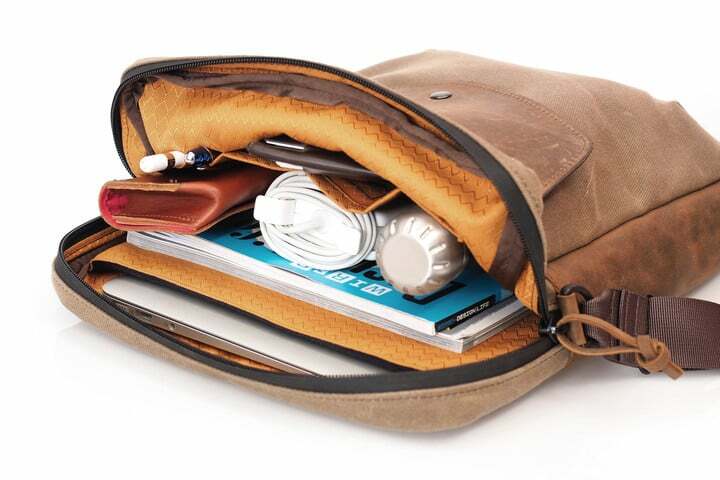 The main compartment has a padded pocket that snugly fits your laptop within. Be warned though — this will only fit your laptop without a case or sleeve due to the tighter fit. I wasn’t able to get my 15″ MacBook Pro with a booq Taipain Spacesuit Sleeve into the pocket, so I’ve had to live without my laptop sleeve when using this bag. 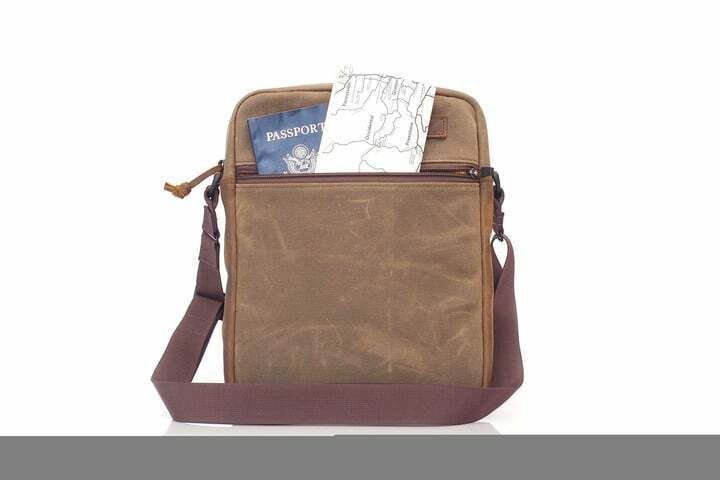 Across from the laptop pocket is a smaller, non-padded pocket for your tablet and pen or stylus. The front pocket is large enough for various knick-knacks like your charging brick, cables, and other items. 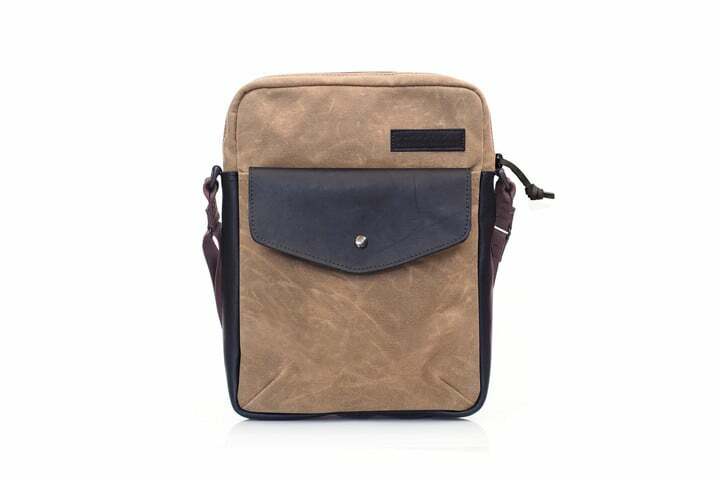 There’s also an ultrasuede pouch that can easily fit your iPhone Plus or other similarly sized phone. To carry the Bolt Crossbody, there’s a nylon strap that you can adjust to your length preference. There’s no padding on the shoulder strap though, which is a shame. I enjoyed that with the Field Muzetto, as it provided extra comfort. However, the Bolt Crossbody does feature a leather grab handle on the back, so you can carry it with your hand instead of always tossing it over your shoulder (my biggest complaint with the Field Muzetto). I’ve used the Bolt Crossbody for my daily workload for the past several months, and it’s been holding up very well. I’m able to carry my late 2013 15″ MacBook Pro without issues (aside from no thin sleeve), as well as my iPad mini 4 at the same time. Even with these two already in the bag, there’s still plenty of space for other necessities, such as the charging brick, USB cables, earbuds, battery packs, my Nintendo Switch, a MFi controller, hand sanitizer, wireless mouse and mouse pad. While that may sound like a lot, it’s not that bad. It’s what I consider essentials, and the Bolt Crossbody still maintains a reasonable profile with all that stuffed inside. Honestly, I think it can hold even more than my Field Muzetto, and it’s much easier to carry thanks to that handle on the back. The flexible D-ring anchor for the shoulder strap also means that the bag moves with you, not against you. The only thing I did notice is that I need to be careful with zipping up the main compartment when my laptop is in there. This is because of the snug fit of the pocket and the compartment itself, so the YKK zipper needs gentle pulls around the corners of the laptop so I don’t scratch it up (or perhaps I’m paranoid). Overall, I’m in love with the Bolt Crossbody laptop bag. I thought nothing would topple my infatuation with their Field Muzetto, but the Bolt Crossbody is a nice step up. Even though the Bolt Crossbody is a bit shorter than the Field Muzetto, I’m able to get my mobile office packed in with plenty of room to spare. The bag feels much more secure thanks to the heavy duty zippers and invisible magnetic closure, so I have less to worry about. 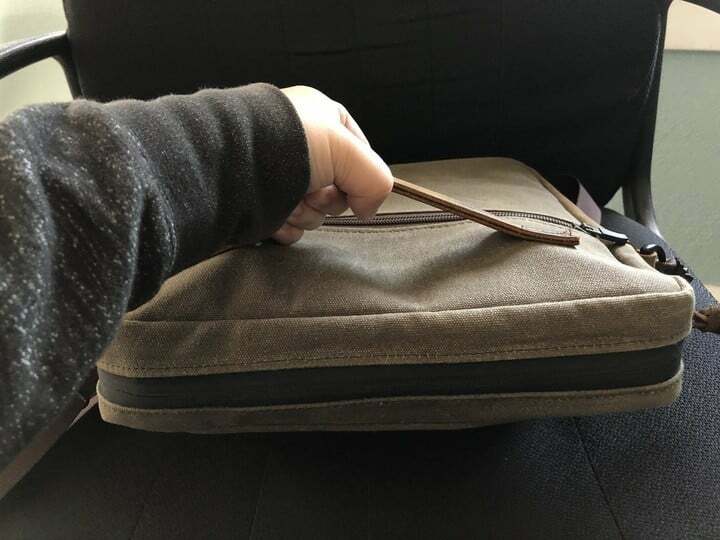 The bag is still light enough to easily throw over my shoulder when I’m leaving in a hurry, but the added convenience of a handle cinches it for me. The only thing that this bag is missing is some padding for the strap, but it’s a minor issue. If you are in the market for a crossbody, over-the-shoulder style laptop or tablet bag, then the Bolt Crossbody is a perfect contender. 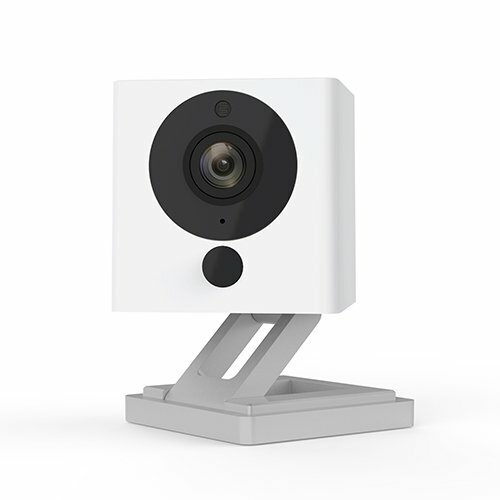 It’s lightweight, spacious, secure, durable, and looks classy. It has that “Indiana Jones” aesthetic to it, and is sure to turn some heads. 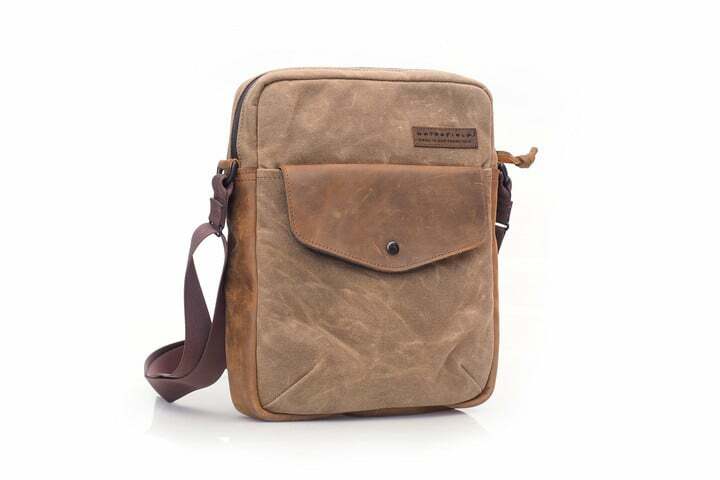 Plus, I know the bag will last a long time because of the high quality materials, and Waterfield Designs has a reputation of amazing, long-lasting bags. 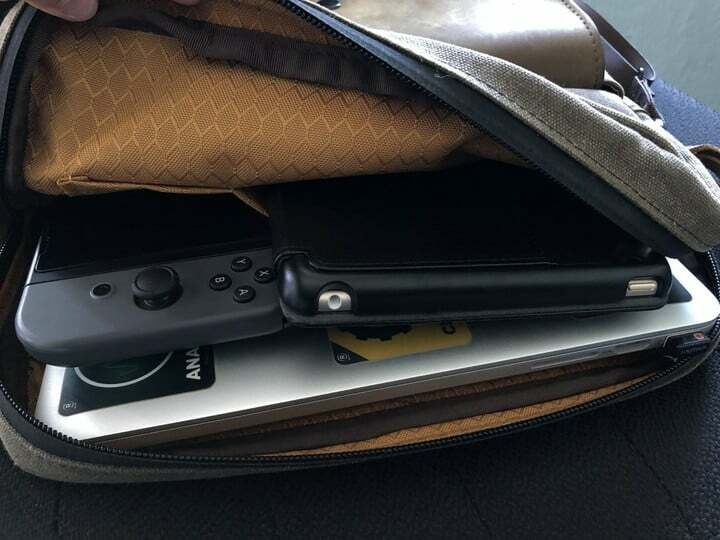 This review was for the large Bolt Crossbody, and this model fits laptops up to 15“ in size and costs $219. 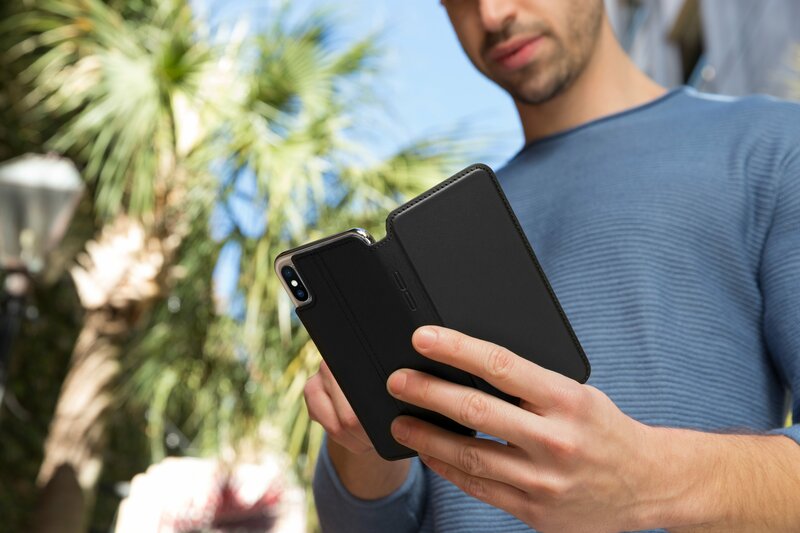 If you don’t need a large one, there’s the small (fits iPad Pro 9.7” and 10.5“ with Smart Keyboard and other similar tablets) and medium (fit up to 13” laptops) for $199 and $209, respectively. For full specifications on what fit in each size, check their website.